Real Valladolid and Barcelona II meet at Estadio Municipal José Zorrilla, in a match for the 1st round of the Segunda División. There are only 2 recent head‑to‑heads between these two teams: on 19‑05‑2015, which ended in a (1‑3) win by Real Valladolid, and another on 21‑12‑2014, which ended in a (7‑0) win by Real Valladolid. This is the first match in this edition of the competition for the home team, that ended the previous edition of the lower division in the 7th position and got the promotion. In their last match, for the Club Friendlies, they got an away loss against Real Oviedo by (1‑0). In the last 10 home matches Real Valladolid has won 7 and tied 3. Their offense has scored consistently, as they have scored goals in 9 of the last 10 matches. 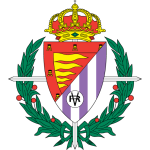 Valladolid were a team that struggled a lot last season and just did not play the playoffs of access because of the tiebreaker criteria, so much so that their current goal is to follow in the fight to rise division. For home debut they will go all out in search of the three points and know that they are important in this beginning of competition, so expect to play and without errors, as this would approach their goals. For this match coach Luis César Sampedro cannot count on Iban Salvador (knee injury), Óscar Plano who are in the medical department. Confirmed Lineup: Jordi Masip, Javi Moyano, Deivid, Antoñito, Alberto Guitián, Nacho Martínez, Antonio Cotán, Borja Fernández, Míchel, Ibán Salvador, José Arnáiz. The away team makes its debut in this edition of the competition, after having finished 1st and gotten the promotion. In their last match, for the Club Friendlies, they got a home win against Lleida Esportiu by (1‑0). In the last 10 away matches Barcelona II has won 7, tied 1 and lost 2. Their offense has scored consistently, as they have scored goals in 8 of the last 10 matches. 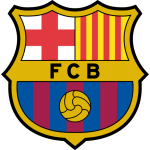 The season 2016/17 was very good for the Barcelona II, because thanks to its good performance managed to rise from the third to the second division, and now aims to stay in the Adelante League. As every club that climbs the division its goal is not to be relegated, so expect to have a regularity and add points even outside the house, so expect to have a good performance at the debut to try to leave the field with a positive result. For this match, coach Gerard López will not be able to count on Adrián Ortolá, Jesús Alfaro, Marc Cucurella, Rafa Mújica, Sergi Palencia and Wilfrid Kaptoum who are in the medical department. Confirmed Lineup: Juan Miranda, Alberto Varó, José Martínez, Rodri Tarín, Ruiz de Galarreta, Oriol Busquets, Vitinho, Fali Jiménez, Carles Aleñà, Marc Cardona, A. Lozano. Valladolid was out of the playoffs last season for the tiebreaker, in this edition the team wants to get at least the vacant playoff phase and for this to happen the team knows the importance of adding points in the home. The visiting team rose to the second division after making a beautiful campaign in the third division, and now has the goal of without keeping on the Adelante. The home team is a favorite because they have a more qualified team and play alongside their supporters, so we bet they will win this game until the end of the 90 minutes.